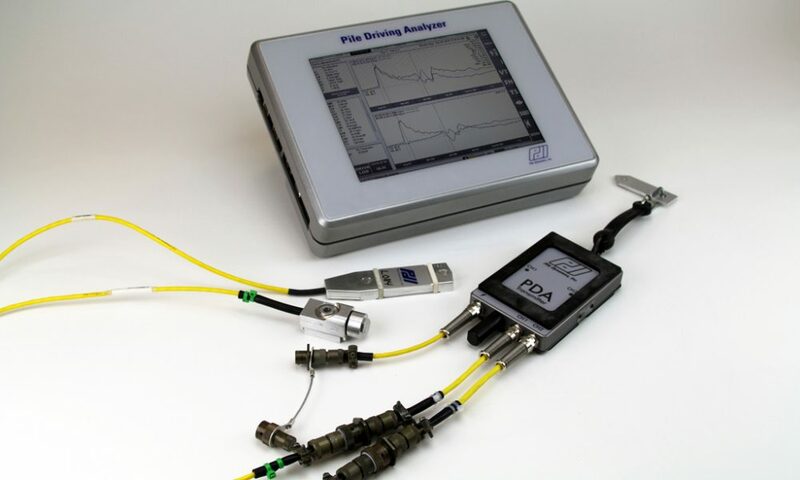 The Pile Driving Analyzer (PDA) system is the most widely employed system for Dynamic Load Testing and Pile Driving Monitoring in the world. PDA tests assess the capacity of several piles in a single day. 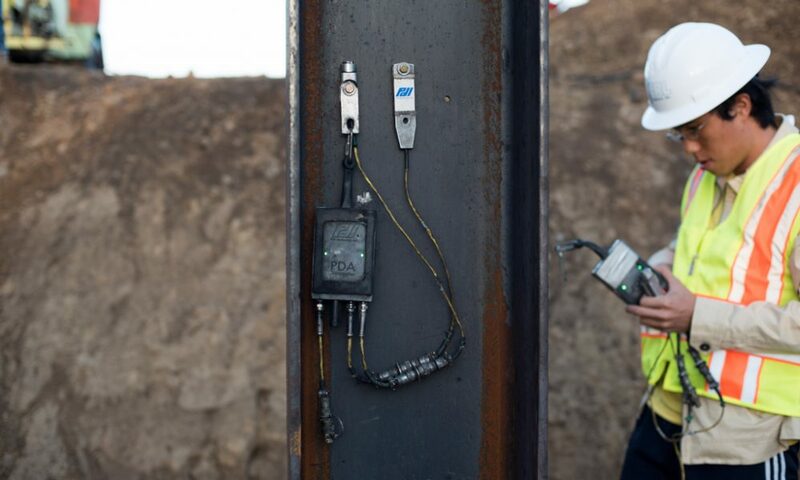 Pile Driving Analyzer systems also evaluate shaft integrity, driving stresses, and hammer energy when monitoring installation. If you plan to use your PDA to test non-driven piles make sure to read about that application as well. The PDA Model 8G is the culmination of a complete redesign effort that incorporates the latest technological innovations and truly embodies Pile Dynamics’s commitment to quality. The PDA-8G looks sophisticated, as so is the software that powers it. Thin, light and ergonomic, it features touchscreen gesture controls like swiping and pinch-to-zoom. The PDA-8G offers up to 16 universal channels of data acquisition, all capable of reading data from Smart Sensors in traditional (cabled) or wireless mode. 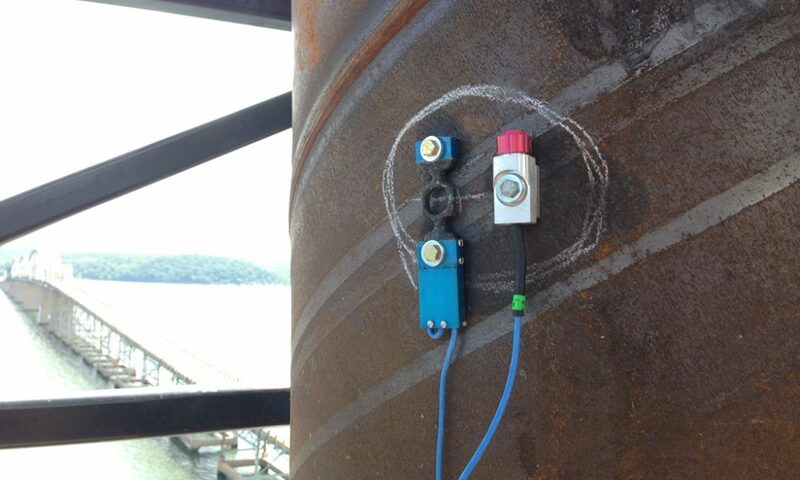 This functionality allows for extreme pile testing flexibility. 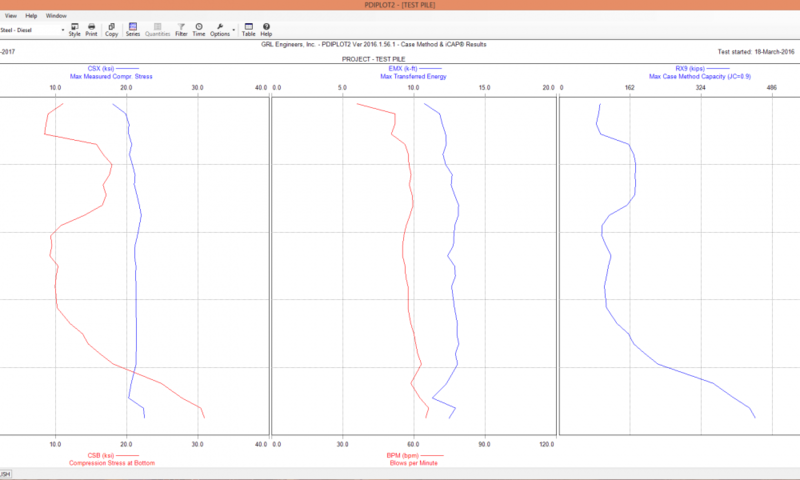 Improved data transfer makes it easier to test hydraulic hammers with high blow rates. 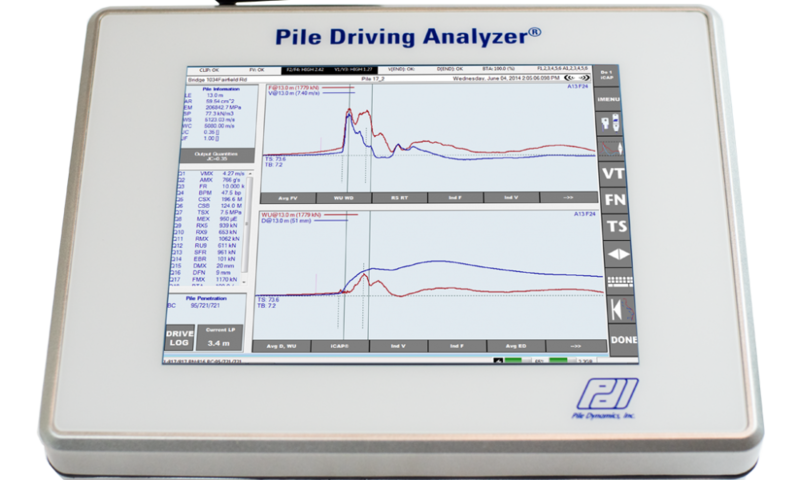 PDA tests are performed during driving on pilot or production piles, taking advantage of the high strain impact provided by the driving hammer. Re-strike PDA tests are often recommended; if the driving hammer is no longer on location, a drop weight may be used to impact the pile. The PDA-8G takes data obtained by accelerometers and strain transducers easily attached to the pile and calculates foundation capacity. In addition, it calculates multiple important quantities by the Case Method and  iCAP®. iCAP computes capacity in real time after every blow by signal matching. This calculation is often more accurate than Case Method capacity and better evaluates stresses in the pile. 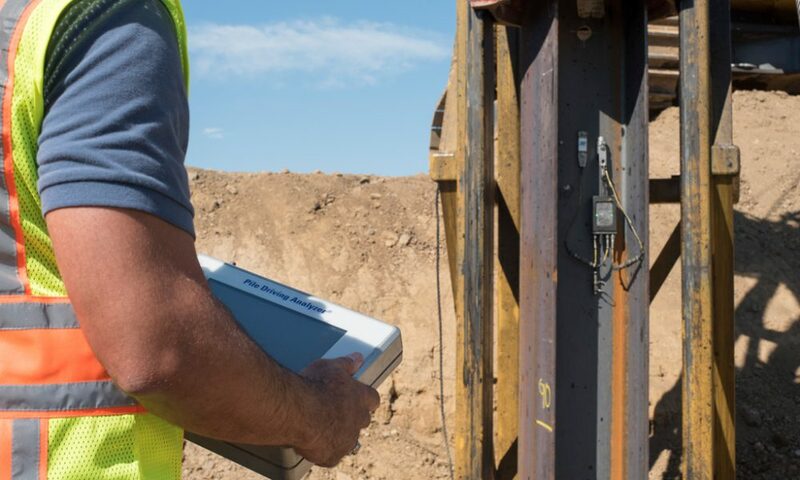 With the PDA-8G, the engineer has the option of being in the field for the pile driving test or of using SiteLink® technology. 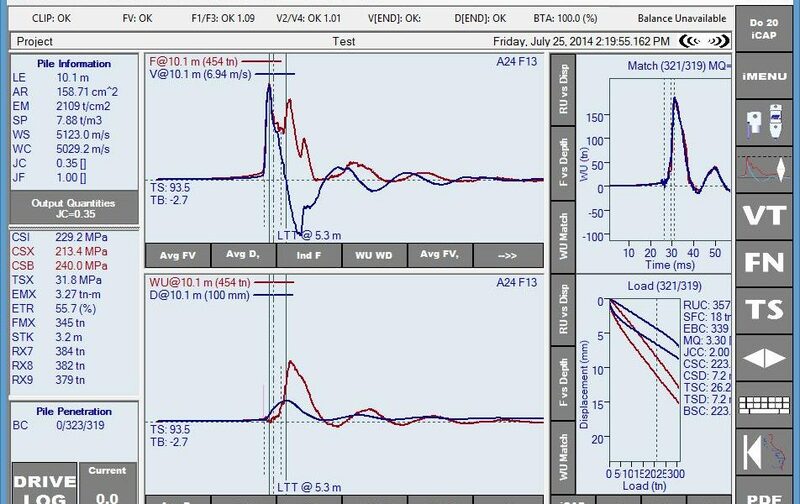 SiteLink technology transmits PDA test data via Internet to an engineer located elsewhere who follows the test in real time. 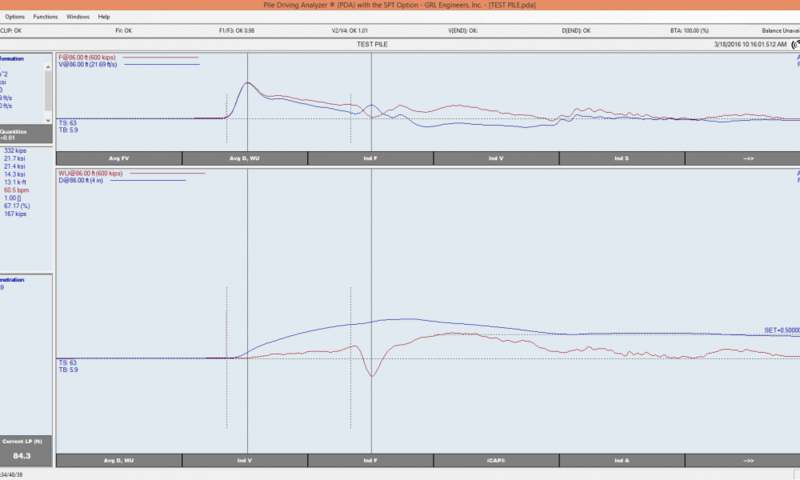 Test data displays and results are identical in both modes. The PDA-8G is furnished with the PDA Software Suite, CAPWAP and GRLWEAP. CAPWAP analysis of PDA data is essential for a Dynamic Load Test. It provides the soil resistance distribution along the foundation and simulates a static load test. Extensive correlations between CAPWAP simulated and actual static load tests have proven the reliability of this method of determining pile capacity. The PDA-8G conforms to  ASTM D4945  and many other codes and specifications. 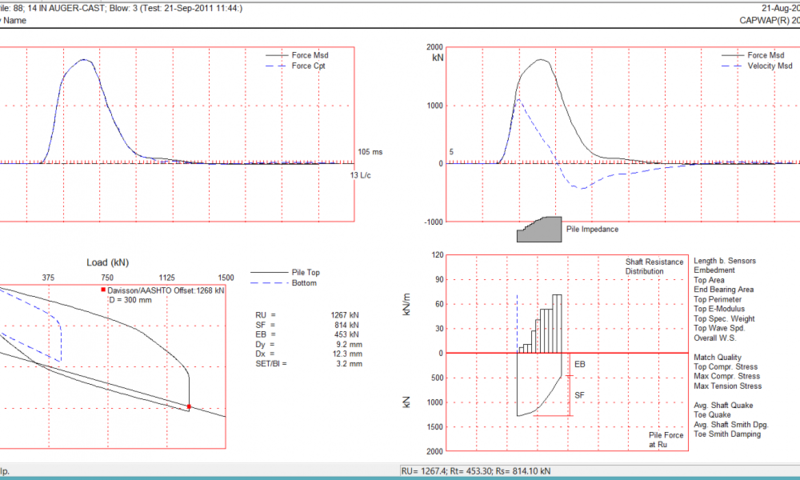 The PDA Software Suite, consisting of PDA-S with iCAP, PDIPLOT2 and PDI-Curves, outputs report that satisfy ASTM 4945 requirements. 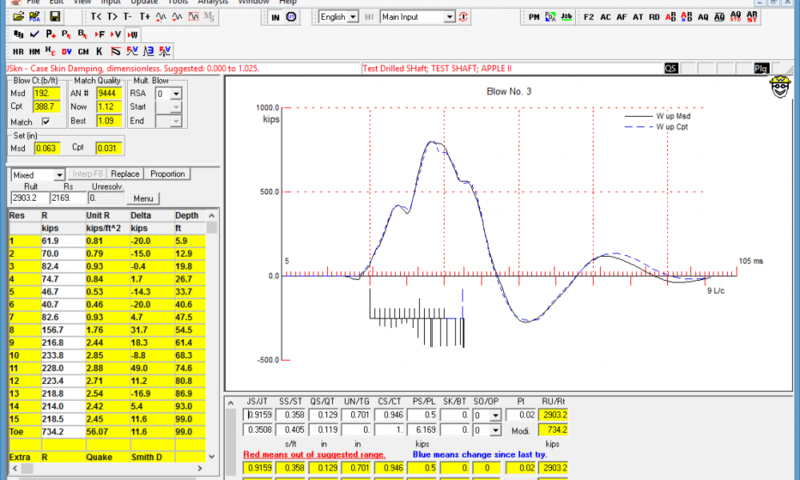 An SPT Software add-on to the PDA-S enables the PDA-8G to determine the energy transferred to SPT rods. 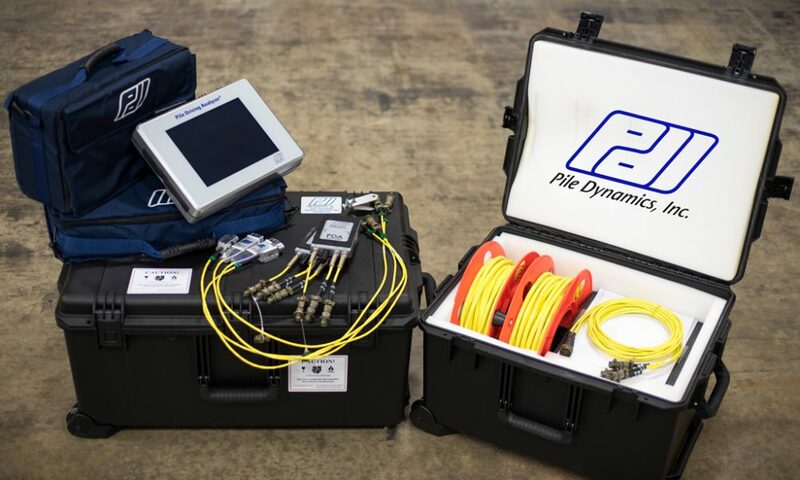 Pile Dynamics recommends that all those who perform dynamic tests using the PDA take the Dynamic Measurement and Analysis Proficiency Test offered by PDI and PDCA. Power: 4-hour continuous data collection battery pack, 12 VDC car battery, or 100-240 VAC. Extra battery pack supplied. Charging time: 6 Hours max.